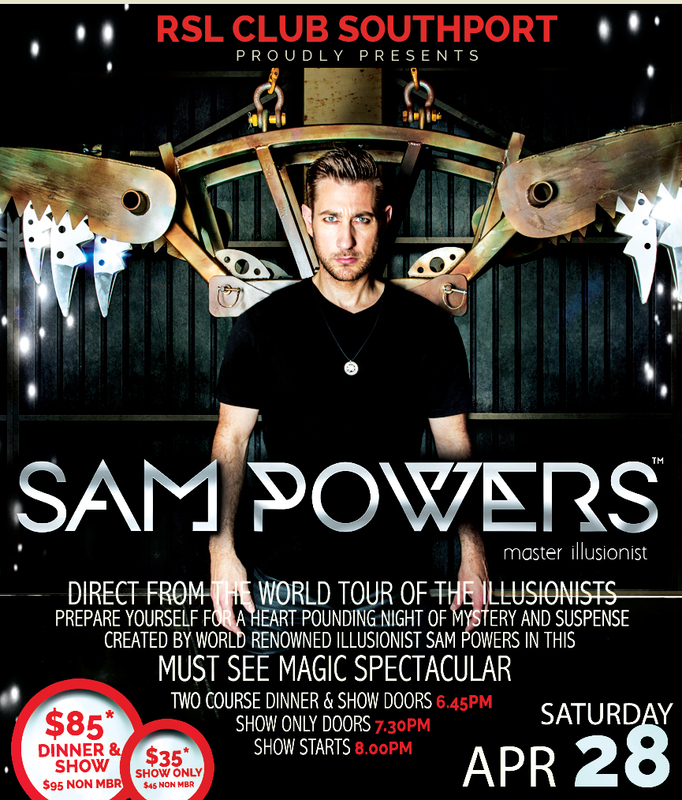 Direct from the sell-out world tour of “THE ILLUSIONISTS”, the biggest magic show on earth, Sam Powers returns with a brand new show of the most spectacular stage illusions you will ever see. Prepare yourself for a fast paced, action packed show of mystery and suspense combined with hilarious audience participation routines. This is a breathtaking new show of illusions, levitations and escapes, which with the combination of Sam’s slick humour, visual gags and quick one-liners is the perfect entertainment package. Cutting edge and contemporary, exciting and spine tingling, don’t expect rabbits and top hats, expect to be mesmerised by Sam Powers as seen in 19 countries across the globe. This brilliantly choreographed production has the WOW factor guaranteed to blow away.